Removing a channel that you have recently added to your Roku player can be easily deleted. You can either delete the channels online or right from your Roku player on your TV. Both methods are simple it just depends on which one you prefer to use. It is a good idea to remove channels from Roku as too many channels can bog the player down much like a computer. So if you are noticing your Roku getting sluggish, delete your unwanted private channels. On your Roku remote control, press the home button. You will then see all of your Roku channels on the screen, move the selector onto the channel you wish to delete with the remote control arrow buttons. Do not click the ok button but instead click the * (options) button on your remote control. You will then be given the option to “Remove channel”. Click OK and the Roku player will ask you “Confirm channel removal”. 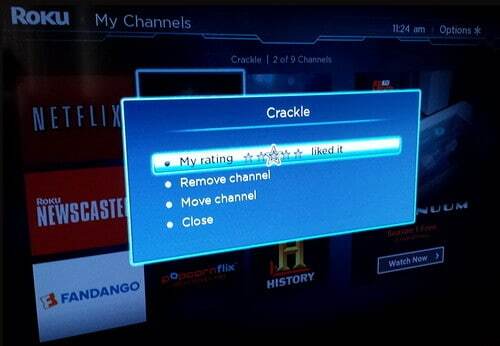 Select “Remove” and the channel will be removed from your Roku channels. 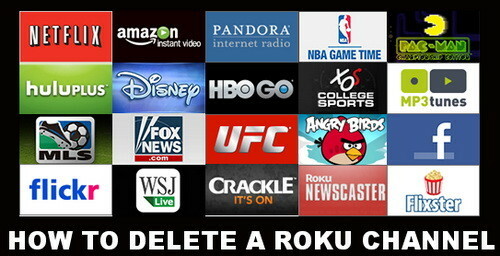 This is what the screen will show when you are going to “delete” a Roku channel. You will then be able to delete channels that are approved by Roku, not private channels. Looking for a complete list of Private Roku Channels? Here is a huge list of Private Roku Channels updated every month. NOTE: This removal method works on all the Roku players including Roku 1, Roku 2, Roku 3, and the Roku streaming stick. Roku 3 player. Can’t delete Hulu online OR by pressing the “*” on the remote. There’s no options to remove, only to move. I see no option to delete channels on my Roku 2 online as this article states. Deleting 1000 channels individually is way too tedious. Hard to believe Roku.com doesn’t have that capability. With my ROKU, I don’t see where online it lets you delete a channel. Only add. Do you have an update? 1 – Turn on your TV and get the ROKU menu on the TV screen. 2 – Use the remote your ROKU came with. 4 – Use the arrow keys and hover over the channel you want to delete. 6 – Press the button to delete the channel and it will be gone. No, it doesn’t work on a Roku 2 because that model’s remote does not have an Options (*) button. So it must be done online — or there is another method that you don’t know about. You will have to delete the channel online with a Roku 2.